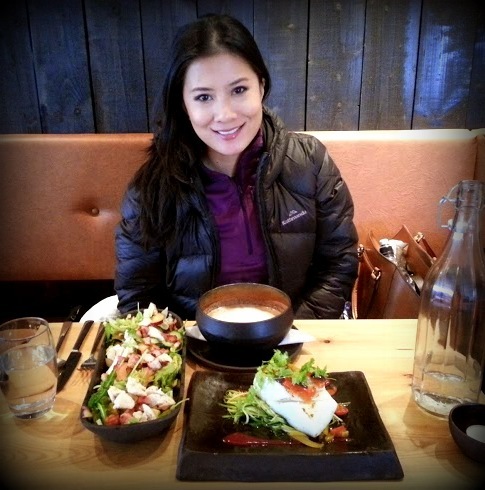 Due to Iceland’s proximity to the ocean (and it being an island too), seafood is one of the staples of Icelandic food. 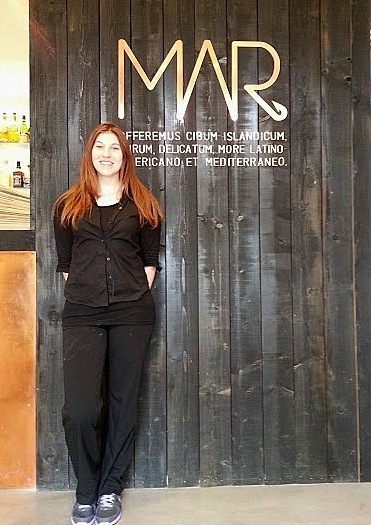 I am a big seafood lover, so when MAR Restaurant invited us to try their Icelandic-fusion seafood specialties, I looked forward to the experience. 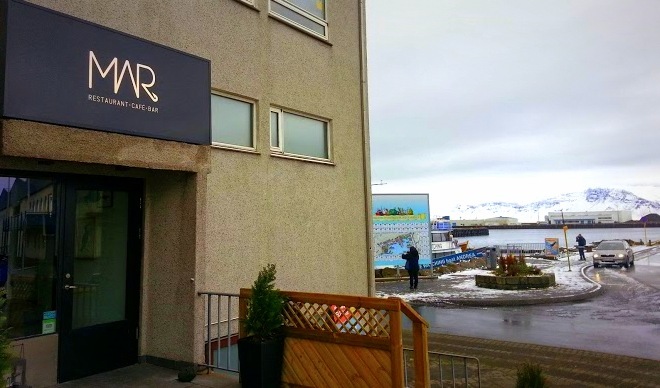 Mar Restaurant is located in the Old Harbour side of Reykjavik. 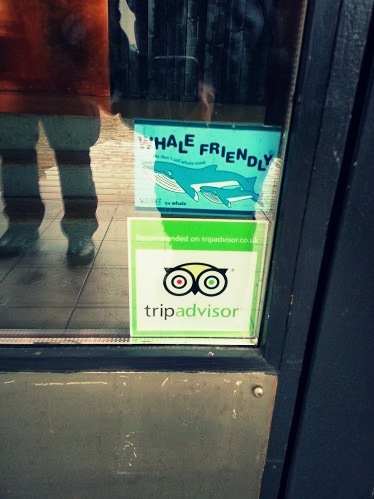 It is just a short stroll from the dock where we did our whale watch tour with Elding. 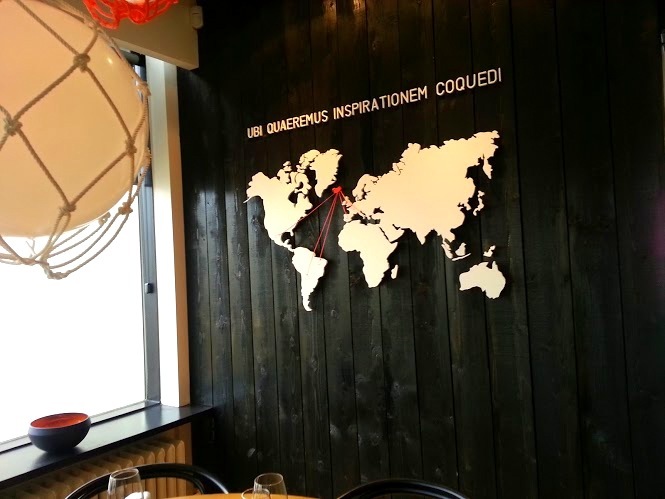 If you are as curious as I am, then click here for their menu. Mind you , I don’t think it’s wrong to eat whales. After all, an Icelander we spoke to perfectly explained that they do not have much livestock (compared to America or Australia which are blessed with abundance of beef/poultry etc), so they eat what is abundant in their country- puffins, whales, horse. 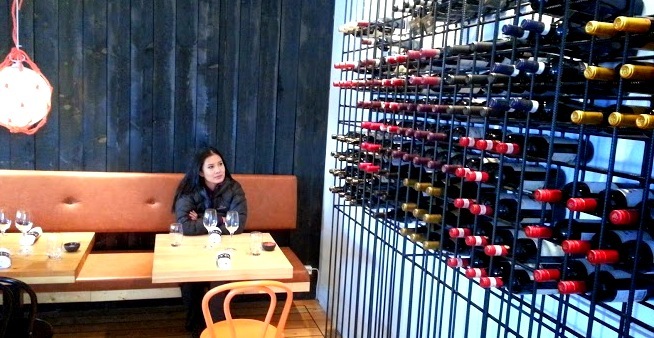 The ambiance was very quiet, and the decor used is very functional. The lights, for example are held by net ropes which has the element of net fishing. The wood panels on the wall are rustic and dark, that reminds you of harbour planks. I loved the thought that went into these touches. Very subtle but relevant. 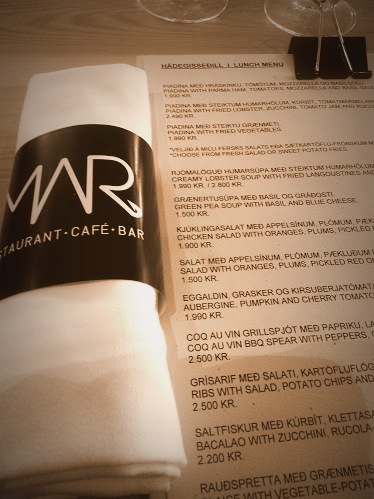 We were there for lunch and were impressed that their lunch menu is almost equally diverse as the dinner menu. This bread was piping hot. Fresh from the oven and served with whipped butter. It was refillable too and though it was tempting, I was careful not to fill myself up too much and save room for the main lunch. I started with this Creamy Lobster Soup with Fried Langoustines and Herb Cream. It was indeed very creamy, and unexpectedly, very sweet! 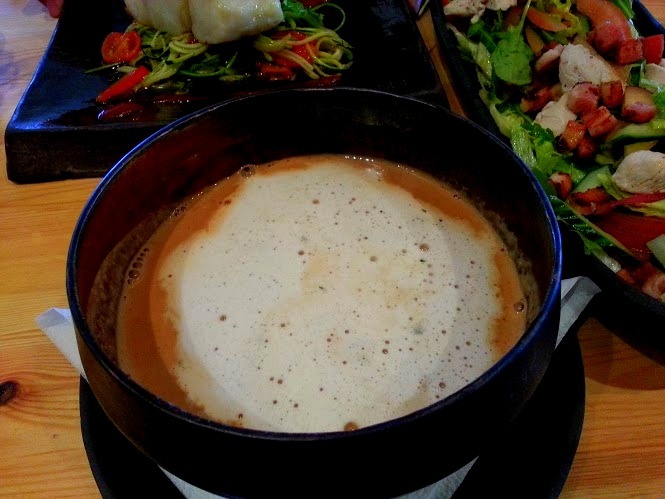 I know it sounds strange but it was like having hot chocolate + seafood chowder in one. I can imagine this would be a hit during winter as it warms up the tummy very well. Upon staff recommendation, we tried this dish. Bacalao with zucchini, rucola-herb salad and plum jam. Bacalao is spanish for dried and salted cod. The cod was cooked perfectly- very firm and tender. 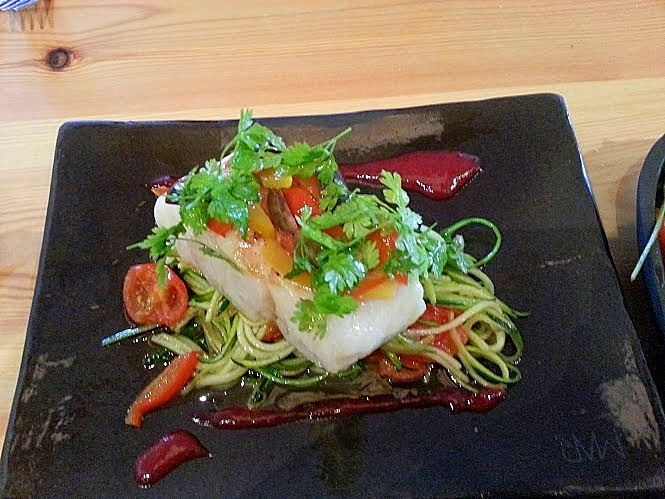 Salting cod is one of Iceland’s traditional way of having fish, and this dish had a bit of a Spanish twist to it. If you are not used to salted fish, you may find the taste slightly strong. We have tried salted fish before so we knew what to expect. The salad and plum jam sauce proved the perfect accompaniment to this dish. 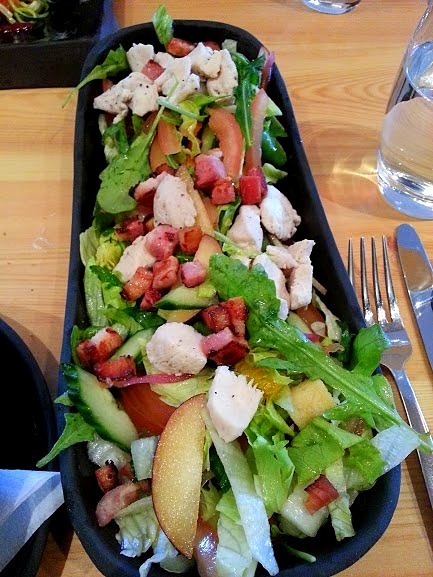 And for abit of a change, I had Chicken Salad with Oranges, Plum, Pickled Red Onion and Bacon. I don’t think oranges were in season because I had apple instead. I didn’t mind at all, the apple was a good mix to it. 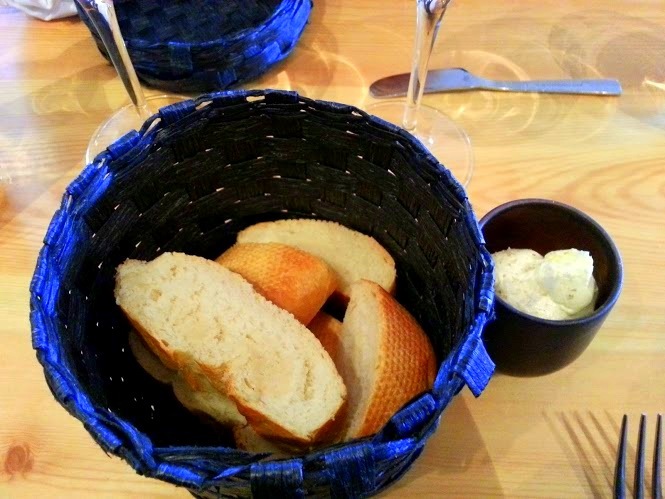 Overall it was a pleasant lunch and I would like to commend the staff who took care of us when we were there. Granted, it wasn’t an extremely busy afternoon but she was the only one in the restaurant and she handled all the tables very well. 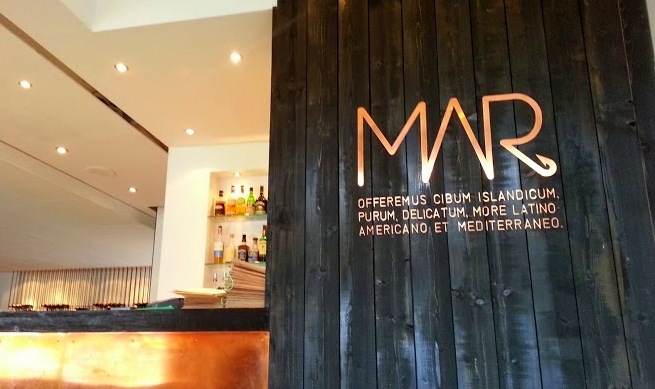 I would recommend traipsing over to MAR Restaurant after having any of the boat tours (Puffin/Whale watching, etc), as the restaurant is conveniently located near the harbour.